I love the site! It is very informative, I am learning a lot. My question is... I am mostly vegan now but still struggling with my weight. Is your weight loss plan tailored for people who are trying to be vegan? My concern is that if I decide to start the program, the first several weeks will be eliminating food that I already have. Sassy Sez: Hi there, Shannon! 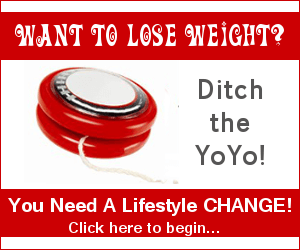 Firstly, congratulations on your desire to take control of your weight and your health. Bravo to you! It's easy to like the "idea" of weight loss, and another to actually do what it takes to lose the weight -- sounds like you're off to a great start as you slowly switch yourself over to a vegan diet. Now, to your direct question: "Is your weight loss plan tailored for people who are trying to be vegan?" Get Down With Sass! 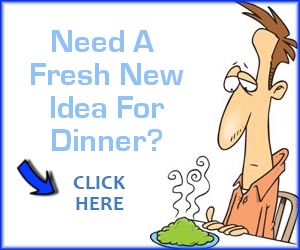 has one main goal and that is to help you lose weight in a SANE and HEALTHY way. One of the main reasons the course has worked so well for so many people over the years is because everything is done in digestible, easy little steps; say, 2-3 things each week for 9 weeks. You add these things to your current diet, or you remove them from your current diet, and that's how the course builds upon itself. The emphasis is on the words "current diet" because the entire time you are working within the parameters of the diet you currently eat. I don't take too awfully much away from you. Those decisions are made by you and you alone. By the end of the course, you know how to create your very own healthy and weight-loss promoting vegan menus, and whether or not you CHOOSE to add the foods currently in your cupboard and fridge is completely up to you. Of course, I take you by the hand and teach you which foods will actually encourage weight loss, and which will be detrimental to your efforts. And for those who are still eating animal products, I won't very often ask you to remove them from your current diet, but the more of them you DO remove, the more quickly you will lose the weight. So even if you DO go full-on vegan, will your weight loss happen overnight? No way. BUT the weight you lose with a vegan diet is lasting. "Goodness gracious! It's been two years and I just realized that I have been totally successful in maintaining the weight I lost with Sassy's help. Her program, tips, and the help you find here are absolutely amazing. So wherever you are in your journey, I encourage you to stick with Sassy. She changed my life and I know she can do the same for you!" Comments like this mean SO MUCH to not only me, but all of you out there who are trying to find a way to lose the weight and feel healthy and most of all STICK WITH IT for the long term, whether you choose to go 100% vegan, or just learn what a healthy, well-rounded vegan diet looks like. "I highly recommend this course to anyone that needs a little boost in the health department. My husband and I think we know it all when it comes to health and eating, but we learned a lot!" Comments for Weight loss program for vegans? Will I physical & mentally be healthier as a vegan? "Trying" vegan for a week? I don't get it. What do you expect will happen in a week? It sounds like you're looking for a "quick fix" for some reason? Going vegan isn't a quick fix for anything. But you're right, you have to do it the right way. 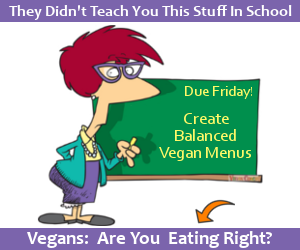 You'll find much of what you need to get started right here on my site for free (VeganCoach.com). Or purchase one of my helpful eCourses or eBooks to get you on your way (look for my eCourses Shop). Good luck! 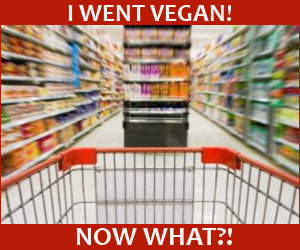 I've been vegan since 1994 and haven't look back. xo! Cool, girlfriend. Good luck with it!! :) xo! Is 'get down with Sass' suitable for Australians? 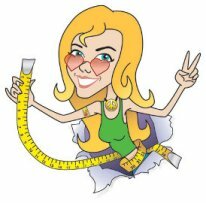 I'm an Aussie vegan looking for a good weight loss program but before buy your program, I was wondering if it tailors well to Australian markets? I know that sounds weird right? But a lot of vegan meal plans out there are American based and recommend food products that we just can't get in Australia which makes the plans REALLY hard to follow! and because I can't preview it first, I was wondering if you could answer this question for me? I love this question and get it quite often! Over the years MANY Aussies have taken my weight loss course and love it. A big reason for that is because I never give you specific plans with specific foods you need to eat. Instead, my coaching style embraces guiding you to the foods and food groups that you should eat (or avoid) to lose weight. The specific foods you choose to eat, though, are the ones that YOU love. This gives you tremendous flexibility in designing a weight loss program that works for you, wherever you live and whatever you have available to you at the time. As with all my courses I offer a 100% guarantee because if you're not happy, I'm not happy. So give it a go and see how it works for you. Thanks, and let me know if you have further questions. Sassy, I don't know the click location for comments on weight loss. Rather than look and look and look ... got to stop. Read lots along the way. Always thank you for enhancing my veganism. I love nutritional yeast and enjoy it on just about everything... maybe a cup a day. Free spirit-ly I haven't given myself a limit. I am wondering... if this could stand in the way of weight loss? Happily I've been trying all kinds of beans and grains. You said some are easier to digest. Please, I'd love a list. So.... each meal should be no larger than palm size. Does that include vegetables. Often I will eat a huge bowl of kale or a pound of broccoli. These go way beyond my palms. Does this suggestion apply to only whole grains and beans? 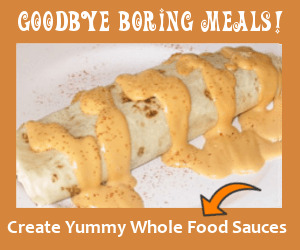 "I love nutritional yeast and enjoy it on just about everything... I am wondering... if this could stand in the way of weight loss?" "Happily I've been trying all kinds of beans and grains. You said some are easier to digest. Please, I'd love a list." The larger they are, or the more dense, the more taxing to digest. Easier to digest beans/legumes will be lentils, aduki/adzuki, mung. These cook up beautifully in a steamer (in about an hour). Lentils and mung are far too delicate to pressure cook, even at 1 minute! Adukis can be pressure cooked, but they take only 1 minute, 2 minutes tops. Pinto beans pressure cook in about a minute. Anasazi, Great Northern, and Navy beans fall into the median category. They take anywhere from 2-4 or 2-5 minutes to pressure cook. Black beans, kidney, garbanzos, and cannellini are the largest or the most dense, and take anywhere from 6-10 minutes to pressure cook. "So.... each meal should be no larger than palm size. Does that include vegetables. Often I will eat a huge bowl of kale or a pound of broccoli. These go way beyond my palms. Does this suggestion apply to only whole grains and beans?" Generally, the larger your hands, the larger the person, the more food you need. The smaller the hands, the smaller the person, the less food you need. Again, this is a VERY general rule, and simply helps those who have a very hard time with overeating to know how much to shoot for eating in a given meal. If you eat that much and walk away, and then you're still hungry 15-20 minutes later, then by all means feel free to eat more. But USUALLY you will notice you are full and don't need more. It really helps with the overeating aspect of things. I'm going to try your program "Get Down With Sass". For me it will not easy, I know, but I will try to do my best. I'm fond of vegan life for about 6 last months. 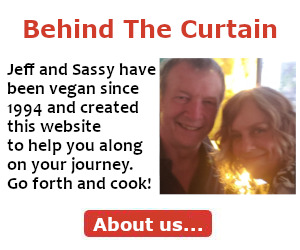 I'm reading a few blogs, include your Vegan Coach site and have some friend who are involved in vegan lifestyle. But now I think that I am ready. It will not be easy was, but I know that it's the right time now. I hope your vegan course will help me. Thanks for your articles and site, food luck! I decided to come begin January 7, 2016 I want cold turkey it is September 22, 20156. The purpose of coming and vegan was not only to be healthy but save the animals as well. I am a big animal lover of all animals on gods earth. And I want to continue to be a vegan but I cannot handle the weekend. So please help. Have any ideas what I am doing wrong let me know. PS thank you. Jean Gillespie. The thing is, one can be vegan yet not be eating a balanced diet. If your diet isn't balanced, you're going to start craving things like pasta. I used to be a huge pasta lover! So I really, really understand what you're going through. When I started paying more attention to NOT ONLY the amounts I was eating (which is where many weight loss diets stop) but the foods I was eating I started to lose my desire for all the pasta. But now it's part of a well-balanced vegan diet. Are you eating veggies? Beans? Nuts? Seeds? A smattering of whole grains? If not, you should. Is your diet filled with sugar? Caffeine? Too much oil or salt? If so, you need to lighten up on these things. My weight loss course is unique in that you'll learn NOT ONLY what to eat and NOT ONLY how much to eat, it also teaches you how to pull together vegan meals and menus that are balanced to ensure you're getting the protein and calcium you need, your diet includes healthy fats it needs, the carbs you eat are complex and sustain your energy for hours, and so much more. In other words, there's quite a lot that goes into lasting vegan weight loss. But once you get it down, you'll be good to go for years to come. Hope you find this helpful. xo! I am an insulin resistant menopausal woman. I want to go vegan AND lose weight. My body tends towards candida especially the last time I tried to perform this change. Idk if you pay attention to the blood type diet but I'm a type O which is the big game eater blood type. Lol. I just started detoxing a few days ago through juicing. I have eliminated grains and am down to eating only seeds and veg and fruit and am juicing twice a day I'd like to know if your program can help given my special needs? Thank you. Your resource is very helpful for me to become a vegan, thanks!